OLBG tipsters find winners every day ranging from good priced NAPs to getting nice returns from a big priced each way bet. What do I look out for when looking at today’s tips from Limerick? All the races are listed with a race time and the most hotly tipped horse at that time will be highlighted for each race. You’ll see the number of tips and comments made on the selection which are represented in numbers and percentages. The latest betting odds also appear alongside the name of the horse. To view the comments made on the horse and to view the other tips made on other runners in the field, click/tap on ‘All Tips’. You’ll see more information on the runners at Limerick such as jockey, form, weight, age and you’ll be able to read the tips comments. The star rating system combines the popularity of a horse and its latest betting odds. To help you quickly find the best odds for the horse racing at Limerick, OLBG provide a price comparison tool which quick and easy to use. Just click/tap ‘Add To Betslip’ on your chosen horse and we’ll show the latest best odds. Repeat to find the best odds for your combination bets at Limerick to make sure you’re getting the best potential profit for your bet. 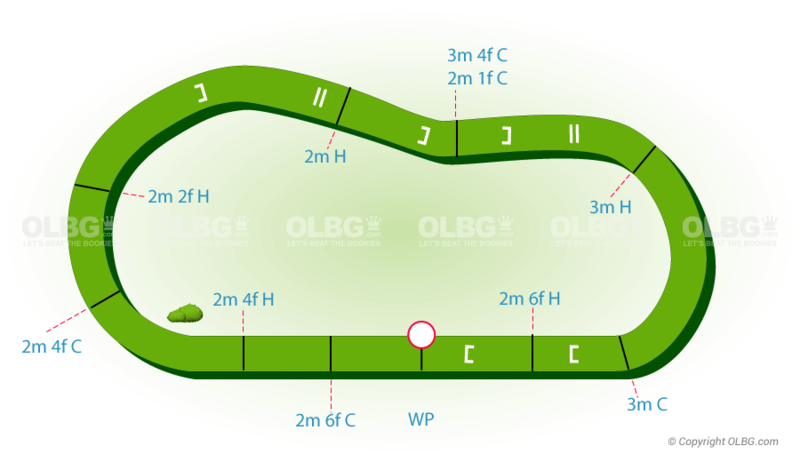 Flat Course - A right-handed circuit of a mile and three furlongs. 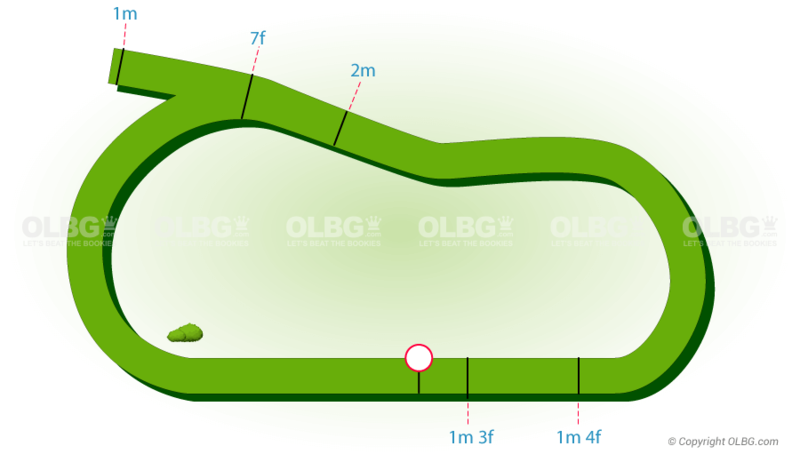 There is a steep climb on the latter half of the back straight, before a downhill run on the approach to the straight of three furlongs, which is on a slight incline. Jumps Course - Galloping, right-handed oval track with a circuit of over a mile and three furlongs. There is a fairly sharp turn after the winning post then a stiff climb in the back straight before a downhill run to the three-furlong home straight with a slight rise in the final two furlongs. There are seven fences to a circuit of the chase course, five of them in quick succession in the back straight which is situated on the outside of the hurdles track, and there is a run-in of around a furlong. Click on the tipster’s username to view their tipping history as well as their monthly profit trend, LSP & strike rate. You’ll soon find a tipster you’ll want to follow based on their performance and the rationale they use when tipping. If you want to know more about the information available to you on OLBG just get involved in some horse racing discussions. Are you getting the best odds on your bets today at Limerick Are there any price or place enhancements to be found with another bookie that you don’t use? Make sure you’re giving yourself the best chance of making a return and getting the most out of your bets. The new course opened in October 2001, staging both flat and national hunt racing and hosts around 18 fixtures a year from March through to December with the national hunt code having the lions share of race days. Highlights: Limerick stages many graded events under national hunt rules with the Munster National Handicap Chase (Grade A) headlining the two day mid October meeting which also features their only listed race on the flat, the Martin Molony Stakes. The Munster National has a notable roll of honour in recent seasons with the 2018 Grand National Winner Tiger Roll winning in 2016 and Willie Mullins Total Recall an impressive winner in 2017 before going on to further glory in the Ladbrokes Trophy Chase (formerly the Hennessy) at Newbury and progressed to run in the Cheltenham Gold Cup. Who are the best jockeys and trainers to bet on at Limerick on the flat ? Ireland's multiple champion flat trainer Aidan O'Brien leads the way numerically with 18 winners from 55 runners and betting on all of Aidan's Limerick runners on the flat over the past 5 seasons would have returned a level stakes profit. Ireland's multiple champion national hunt trainer Willie Mullins has unsurprisingly sent out the most national hunt winners (51 from 151 runners) at Limerick over the past 5 seasons but betting on all his runners would have returned a level stakes loss over that period despite his near 34% strike rate, proof again that his runners are generally over bet and short odds. Finding a profitable betting angle to exploit comes in the shape of betting on Willie's runners in non handicaps over distances around 2 miles three furlongs to 2 miles five furlongs. Plan your trip to Limerick and view the racing fixture list. Book your tickets online and see what hospitality packages they have on offer. If you are going racing to Limerick today then why not download the OLBG app to keep up to date with all the Limerick tips at the track.